All of these injuries at Milan must really be getting to me, because I woke up the other day in a cold sweat, my heart pounding, and I couldn’t get this terrorized feeling out of my mind. It seems that I was apparently dreaming, and yet it all seemed so real, I’m still not sure exactly what happened…. Doesn't look like the place a horror story begins, but then again, it never does, does it? It all began when I stubbed my toe pretty hard in training. I was worried I might have broken a toe, so I went to see the team doctor at Milanello, otherwise known as Milan Lab. The first thing they did was to hook me up to all of this equipment to monitor my heart rate, breathing, and who knows what else. When I asked why it was necessary just for a stubbed toe, they explained to me that Milan Lab had cutting edge technology, and that they used extensive data for all of their players to help determine fitness levels and to predict and prevent injuries as well as cut down on recovery time. While they were explaining this too me, one of them got a very worried look on his face after looking at my data, and called the others over to consult with him in whispered terms. After consulting for what seemed like hours, they told me I needed to get up and go see the team dentist right then. It seems they had determined that I had a tooth that was causing me problems, and therefore it had to be removed. Surprised, I asked why it was necessary for such a minor injury. They insisted that their data and experience showed that if I did not have that tooth pulled right now, I risked further harm and injury, and that they could not have that happen to one of their players. So begrudgingly, I got up, and as I put weight on the sore foot, I realized they had not even looked at it yet or done anything for it. So I asked if I could at least have an ice pack for my toe. You would have thought I was asking for their firstborn child. One of them went off on a tirade, they all seemed so offended. Finally, one of them calmly but firmly told me that I was not to question them, they knew what they were doing, and would I please go see the dentist like a good player. So, toe throbbing, I went to meet this dentist. I was pretty nervous. Not only am I not fond of dentists in the first place, his office was hardly state of the art, and he didn’t have much of a bedside manner. He took one look in my mouth and went to make a phone call. From what I could tell of his concerned, rapid speech, he said my mouth was a disaster waiting to happen and that he would need to start by pulling three teeth not one. Apparently, what I’m assuming was one of the doctors that I had just seen agreed with him, and in no time, there was a gas mask on my face, and I felt really strange. There was some pressure, then some pain, but I didn’t seem to care for some reason. Then some bleeding, lots of bleeding, and a mouth packed with gauze. After an unknown length of time where I honestly don’t remember a lot, this dentist person told me I could get up, I was all done. The problem with that is when I got up, between being still under the gas a little, having lost a lot of blood, having not eaten lunch, and maybe tripping on a cord or something, I fell down almost immediately, hitting my head, and blacking out. I woke up in a hospital bed, my head completely throbbing, my mouth swollen from the tooth extractions, and hooked up to a bunch of equipment again. 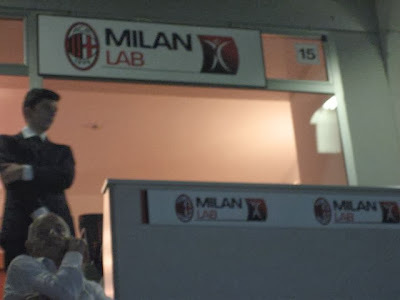 One of the Milan Lab doctors was there, and he looked concerned. After checking my pupils and asking me some questions, he told me it seemed that I had suffered a concussion, and I would need to stay overnight for observation. 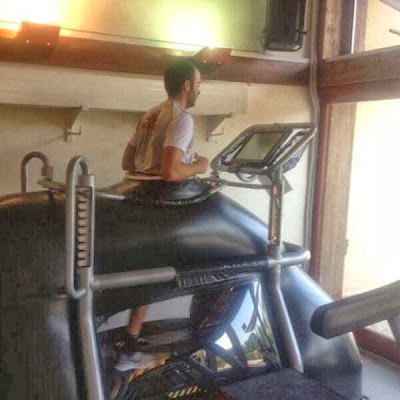 Oh, Pazzini, what are they doing to you? That was the longest night of my life. I realized that the stubbed toe was pretty ridiculous compared to having lost three teeth and having a concussion. Plus, I was absolutely starving. When was the last time I had eaten any food? I called for a nurse, who told me I couldn’t eat any solid foods between the having the teeth pulled and the concussion, but she assured me that I would have an IV started soon and they would feed me through the IV. I wasn’t sure I wanted any other medical treatment from Milan Lab doctors, but I did feel like I would pass out at any time, so I agreed to the IV. The doctor came back in and explained that they would give me plenty of nutrients through their sponsor’s products, and that I would feel better in no time. That should have been a huge red flag to me. The next thing I knew, I was having troubles breathing, and had hives from head to toe. It seemed that I had an allergic reaction to whatever it was they had given me, and now my life was actually in danger. As luck would have it, another doctor from the hospital happened to walk by at the right time. He was not affiliated with Milan Lab, and could see that I needed some intervention. He quickly gave me a shot to reverse the effects of the allergic reaction. After looking over my chart, he left, and came back in with the Milan Lab doctor. They started arguing, and I realized that the Milan Lab doctor hadn’t even realized that not only was I not even a Milan player, but I was actually a woman, which should have been obvious. 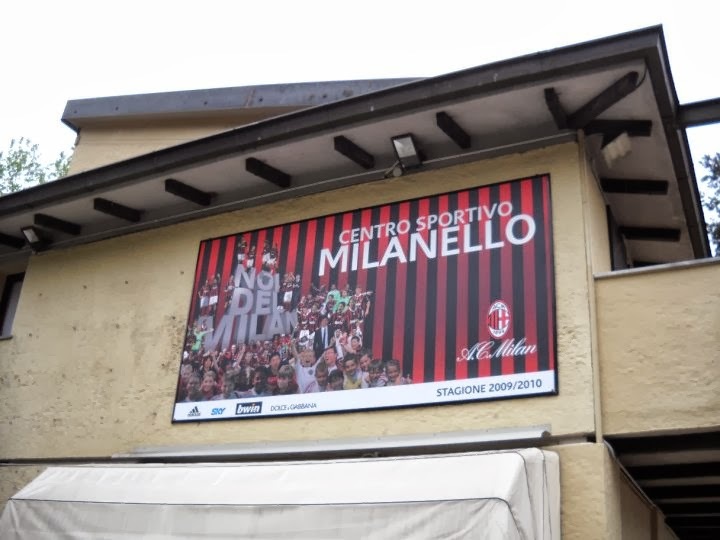 I had only been at Milanello to write a story about the training methods and medical treatment of the players because there had been so many injuries. Furthermore, no one had ever looked at my toe, which was very swollen, and obviously broken. After some strong words, the Milan Lab doctor said a hasty sorry and left the room in a hurry, pulling out his cell phone to make a call on his way out. 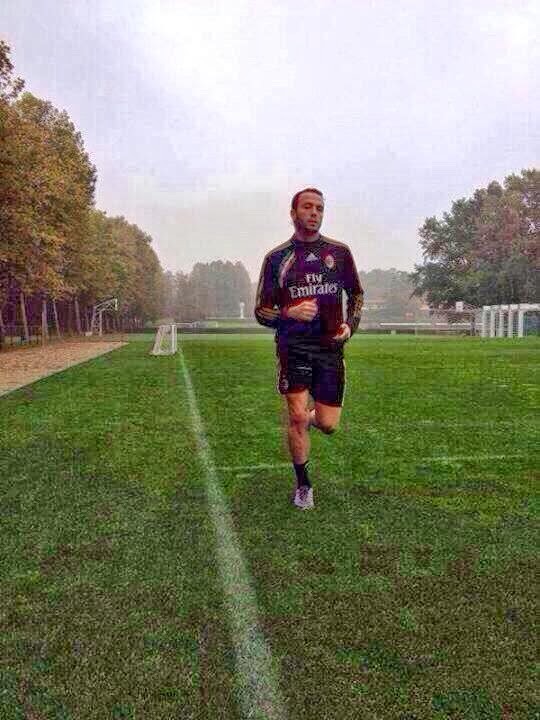 Trying to run away from Milan Lab? Or his his nightmare almost over? That was when I woke up in a cold sweat. I was actually in a hospital bed, but it seemed to be my local Emergency Room, and I had an ice pack on my toe. I still couldn’t tell if it was all just a dream or if it had all really happened. My head was throbbing, and I was still starving… but it was clear that if this was the kind of treatment our players got, it was easy to see why Milan Lab’s treatment was not effective, and why there were so many re-injuries and players often didn’t make it back to fitness on time. Whether or not I was dreaming, one thing was certain: Milan Lab was a giant nightmare.